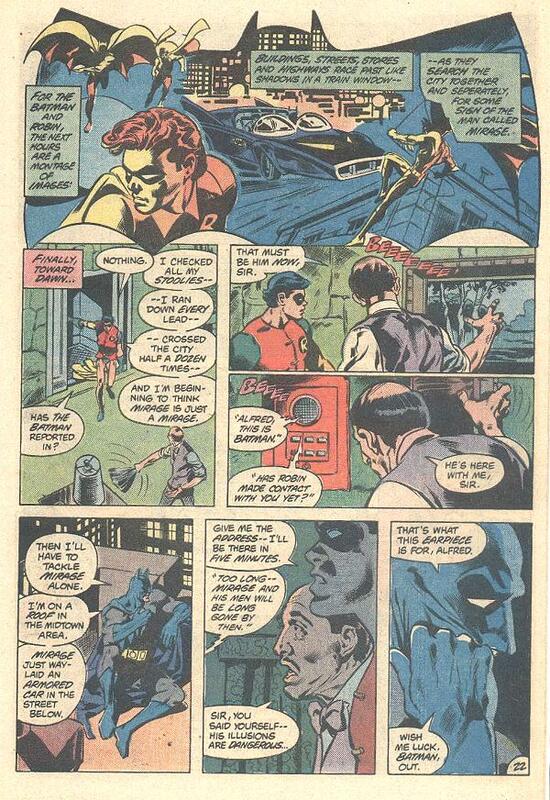 on did twenty stories for DC in 1982, a dozen of those were Batman stories, and a half-dozen of those were SHAZAM! stories. Don was feeling in a rut. 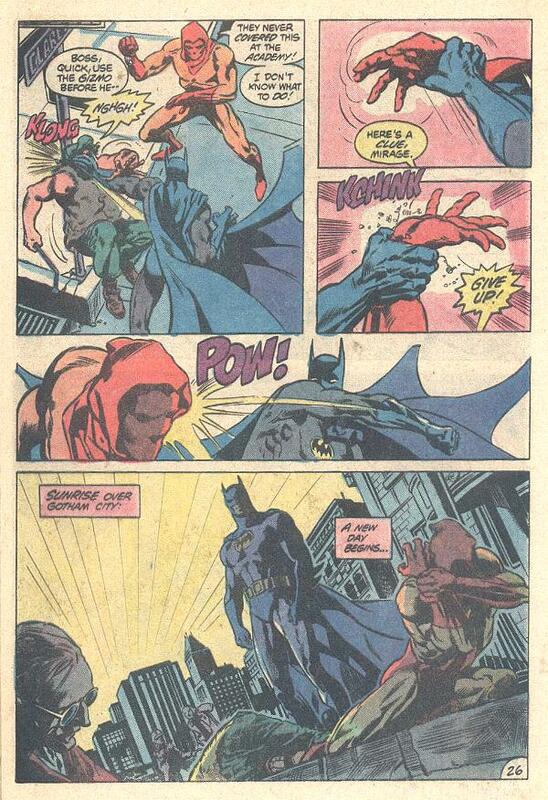 Batman and his beloved Captain Marvel had consumed him artistically the whole of the previous year at DC (he did do an Avengers in 1981 for Marvel). Don requested something different from DC to add some spice to his work and he got it, Green Lantern. 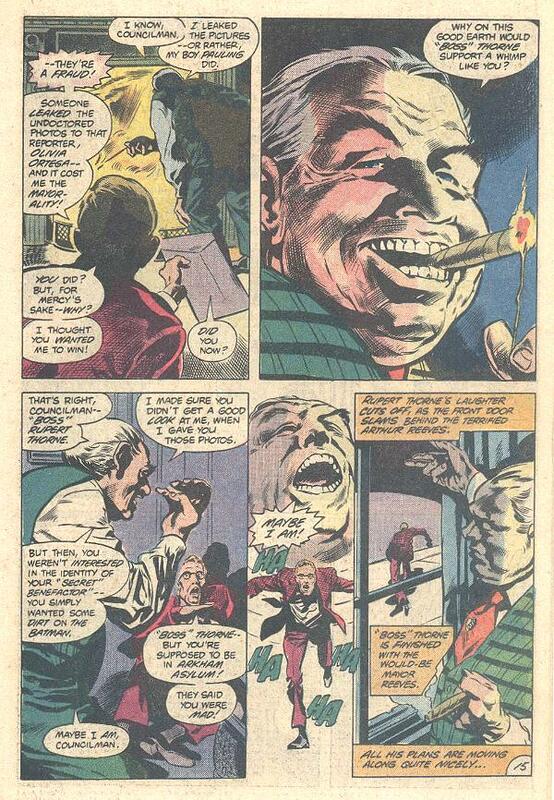 Don opened 1982 with backup stories in Green Lantern #148 (January) and #149 (February). For Green Lantern #148 Don penciled an untitled 8-page Green Lantern Corps story written by Paul Kupperberg and inked by Dan Adkins. This story has a little bit of everything in it: space battles, Guardians, alien civilizations, everything, except humans. It features the adventures of Ch'p from the planet H'lven. 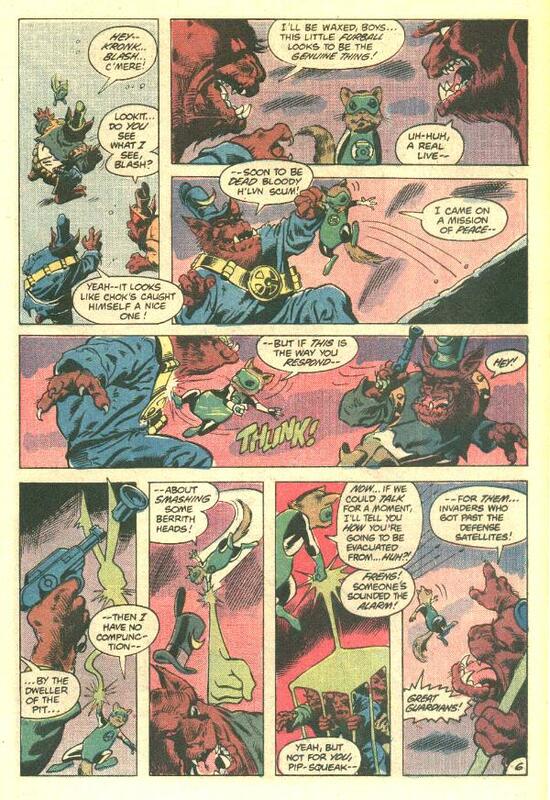 Ch'p is a kind of rodent/rat/hamster type of creature, but a Green Lantern none the less. I was a little disappointed at first that Earth's Green Lantern was not involved, but I got over it and enjoyed the wonderful story and art anyway. Green Lantern #149 again took us down an unexpected alley. 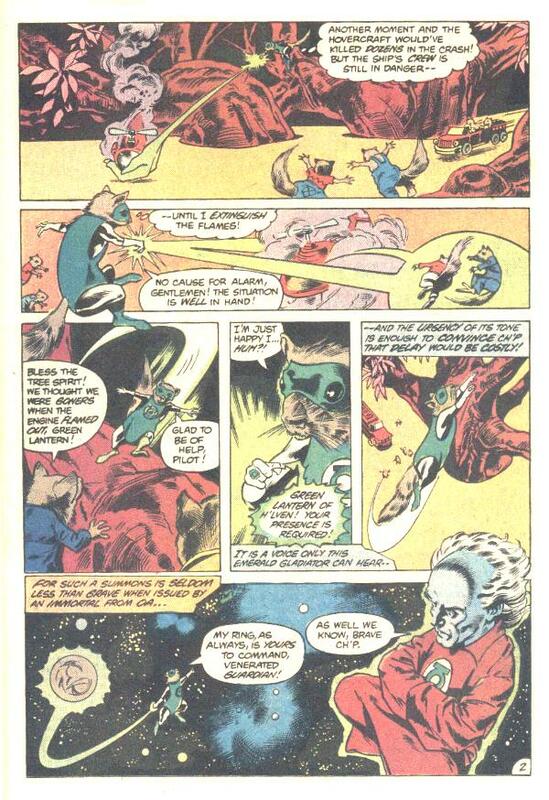 Paul Kupperberg once more provided the writing and Dan Adkins again handled the inks on an eight-page western entitled "Earth's First Green Lantern." 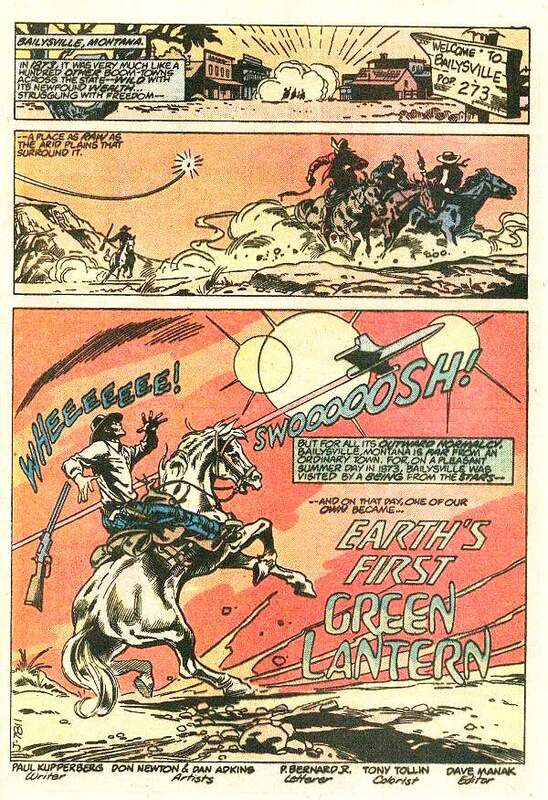 Not only does this story redefine the history of the Green Lanterns on Earth, altering the Earth/Abin Sur timeline, it also features what I believe to be Don's only professional western comic art. Now that is a shame, for Don had shown his abilities in this area as a fan with the publication of his High Dawn portfolios in The Collector . There is a richness to the art, a depth of detail that you do not see in most western comic art. Search this book out for a real treat. Here is a look at the Green Lantern of H'lven, Ch'p. Don did a wonderful job on the rodent Green Lantern and the Guardian of Oa. This gives you a good look at Ch'p in action and a look at the Berrith, sworn enimies of Ch'p's people. This is a really great opening page. Don gives you the feel of the old west and then shatters it with the appearance of Abin Sur's space ship. 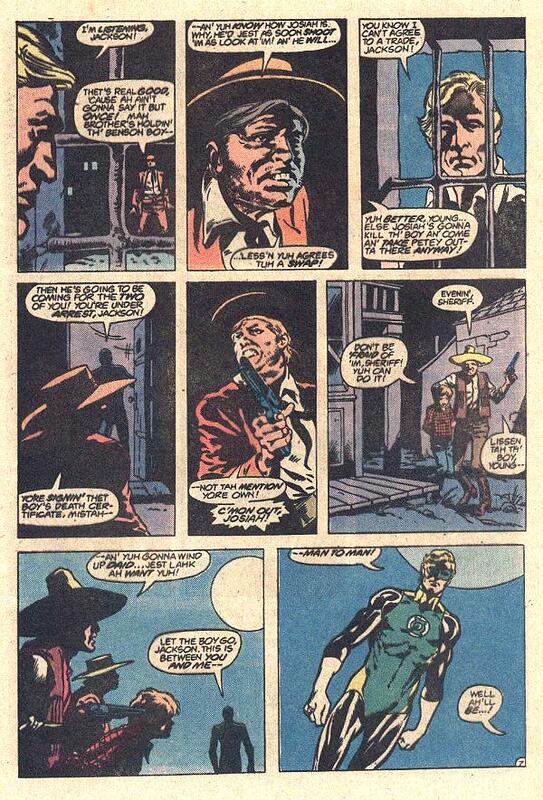 Not only do we get some wonderful western art here, but finally a human Green Lantern by Don Newton! It would be two years before Don returned to Green Lantern, producing his final Green Lantern piece and the only art at DC that Don penciled and inked. 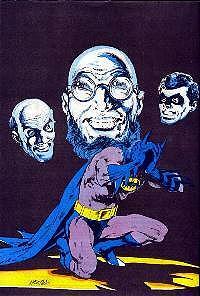 However, while at DC Don did a cover for Batman #356 that for one reason or another was rejected by DC. Jay Willson remembers that, "Don was attempting to do more covers for DC, but not succeeding too well. Ed Hannigan designed all of the covers in those days and he didn't like it, from what I remember." 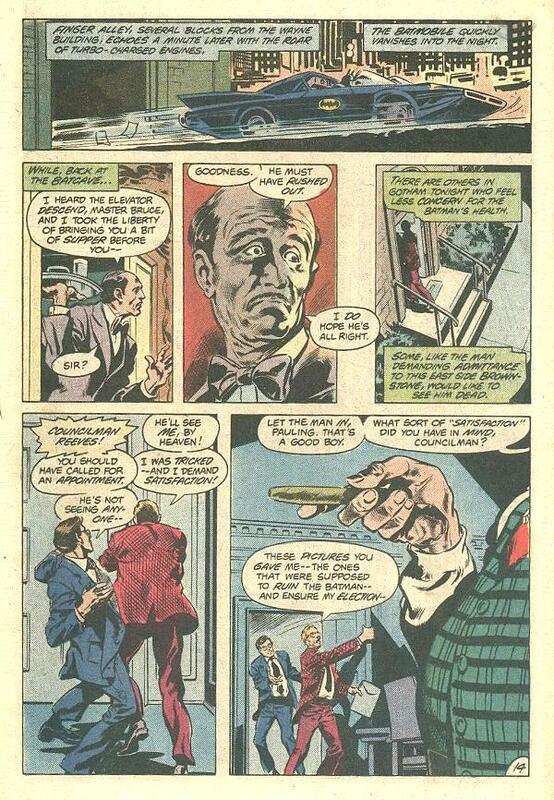 I thought this page was penciled and inked by Don but Jay informs me that what you are looking at is Don's pencils. The rejected cover finally saw print as the back cover of The Comic Reader #205, July 1982. Don's pencils are so very tight on this rejected cover from Batman #356 that was finally printed as the back cover to the Comic Reader #205. And here are Don's amazing pencils for the rejected cover from Batman #356 courtesy of Newton fan extraordinaire, Steve Lipsky. Frank Chiaramonte was always a hit and miss inker for Don. When he missed, he could miss badly, but when he hit, it may have been the closest thing to Don inking himself. Don's first Batman story of 1982 appeared in Detective #511 and it's one of those rare issues where everyone hit a homer. Chiaramonte's inks are brilliant in this issue, bringing out all the amazing detail in Don's pencils. 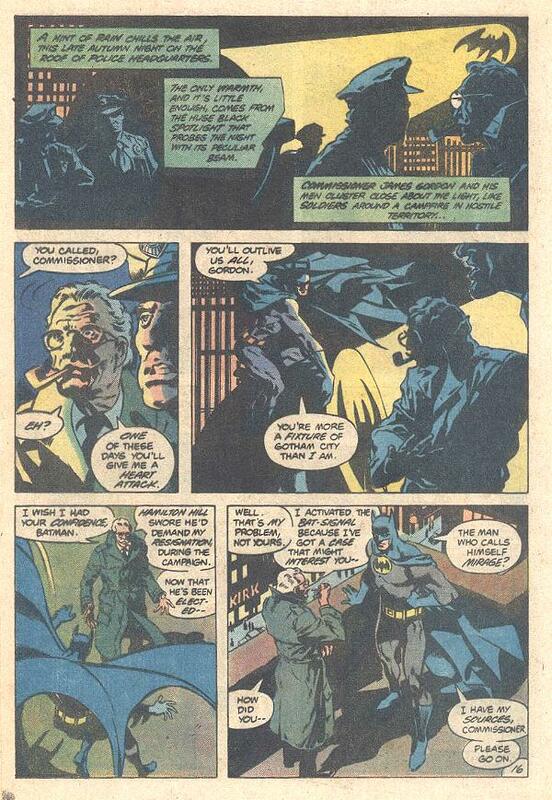 Colorist Adrienne Roy could at times phone in here coloring job, but this issue shows why she was given the plumb assignment of Batman; moody, striking and evocative, her colors enhance the pencils and the inks. 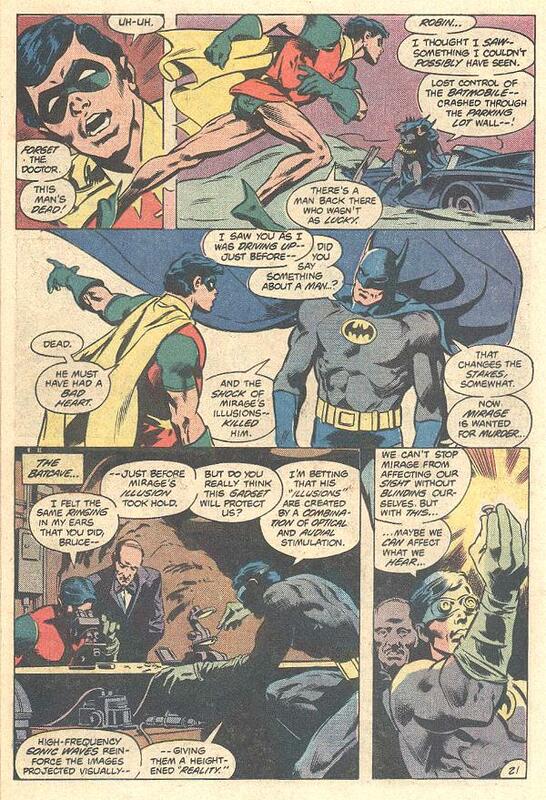 I think this is one of the great Don Newton Batman issues, and I want to share as much of it with you as I can without stepping on any feet at DC. Here we are introduced to the villain Mirage. Great settings, tight story- telling and some great inks and colors make this page a joy. Wonderful Newton anatomy highlight this page. But it is the grounding of the fantastic with the realistic human faces that make it effective. 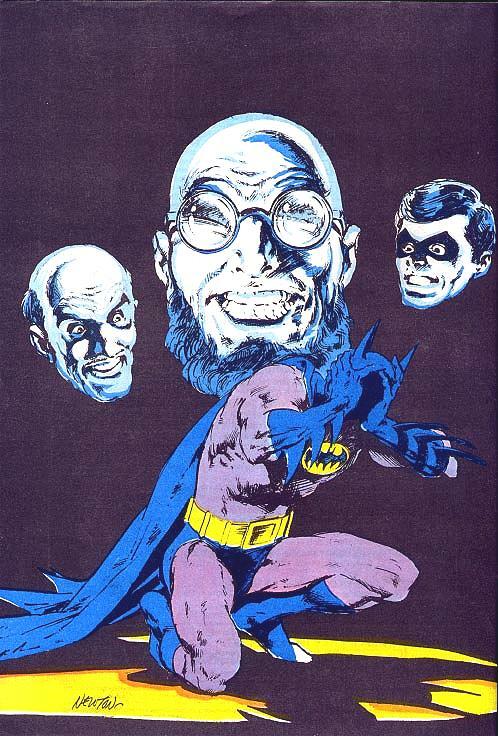 I think Don Newton's Alfred is the definitive Alfred. It's scenes like this that bring such a wide variety of expressions to his face that made him so real. Don's Boss Thorne is a revelation, a man of power and madness. I also think that Don did the definitive Commissioner Gordon. A wonderful night scene shot for the most part using only the light from the Bat signal. Brilliant! Don's Robin was better than most, a real teen wonder. I love the dark scenes in the Batcave. Chiaramonte's inks are really superb throughout this issue A stylish montage, expressive faces, dynamic lighting, beautiful hands, terrific lighting, and that wonderful Newton anatomy. What more could you need? A dramatic Newton climax, artfully staged, beautifully lit, and wonderfully colored by Adrienne Roy. There is something else interesting about this issue. In it Don does something I never saw him do before, or after actually; Don swipes from another artist! Really! 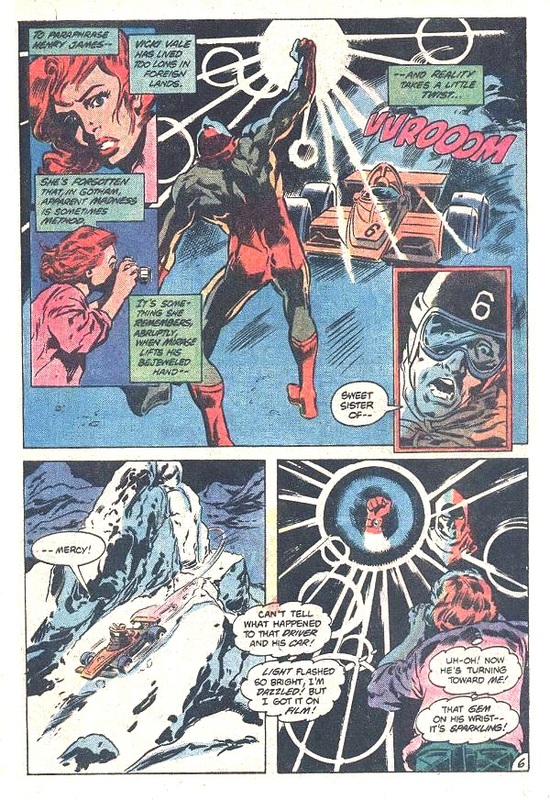 Pages 19 and 20 of this issue have swipes from the Neal Adams' drawn issue #82 of The Brave and the Bold starring Batman and Aquaman. I'm sure Don was just looking for examples of a giant octopus and hammerhead shark and remembered the issue. 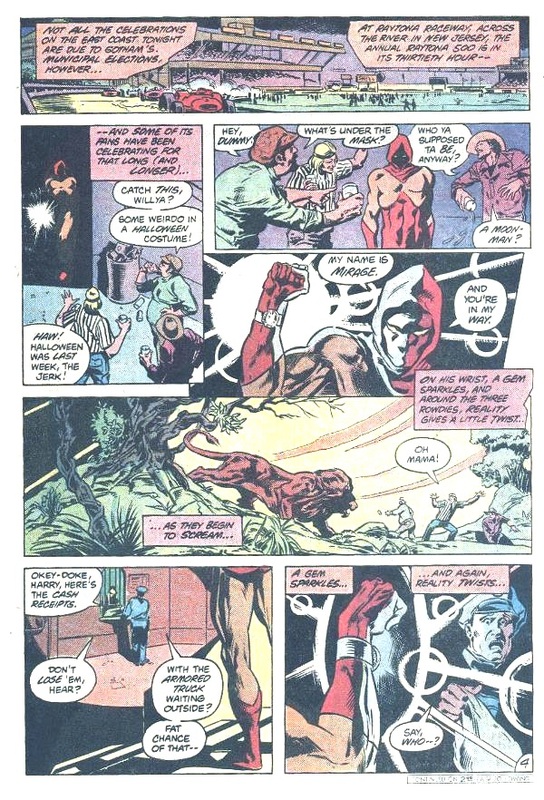 But these two pages also contain three figures directly lifted from the same issue. Like I said, I never saw Don swipe from another artist before, but he sure did it here. Aquaman, Batman, Captain Marvel, Green Arrow, Green Lantern, Hawkman, The New Gods, Robin, The Star Hunters and all associated characters are copyright 2002 by DC Comics.